When the season is summer and the book you’re holding promises a story about the boundless Atlantic at our shore, you might easily expect another “summer read.” Translation — a book that is breezy, upbeat and escapist to its core. 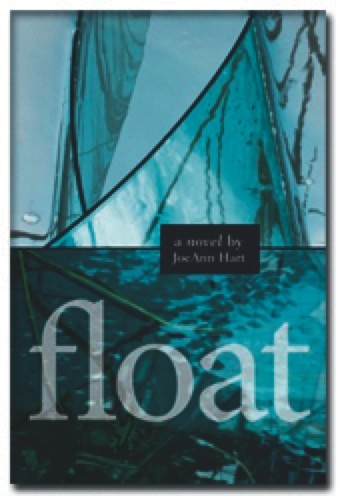 If the book is “Float,” however, a second novel by JoeAnn Hart of Gloucester, Mass., you would be mistaken. 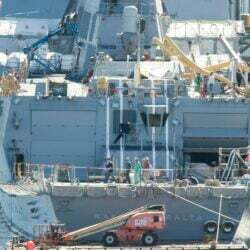 “Float” is a story, readable enough and enjoyable, that presents in novel form serious environmental concerns now being discussed pretty much anywhere ocean brushes up against land and man and sea interact. Those concerns are global and solemn — namely, the destructive environment of waste, much of it permanent, that human activities create for the ocean and what, if anything, we can do to eliminate it. “Float,” let me emphasize again, is a novel. It has considerable wit and substance. But the pictures it calls to mind are all-too familiar in the real world. Let a storm roil the waters and there they are — huge balls of plastic, wire and other indigestible waste left from factories, ships, community garbage operations, residences, medical facilities, commercial plants, dumps and scores of other operations. “Float” takes them into firm focus. Confronting them in “Float” is Duncan Leland, owner of Seacrest’s Ocean Products of Maine, Ltd., whose business is jeopardized by losses and who seeks to ride it out a little longer until profits he anticipates from a new fertilizer product can be realized. Leland, however, has more to confront than business losses. His marriage is crumbling, his understanding of his personal world demands realignment and his responsibilities to his mother, brother and others close to him must be addressed. Intersecting with all of these is the role of art in our world. In “Float” art is far more than decoration. It is the power of achievement and change. Out of it, we’re encouraged to believe, may come the transformation of our world. Nancy Grape writes book reviews for The Maine Sunday Telegram.